This walk has been designed for those looking for a Pack Free walking experience of the stunning wilderness region of Cradle Mountain. With rugged mountain peaks, glacial lakes, ancient rainforests and abundant wildlife, this truly is a special place. 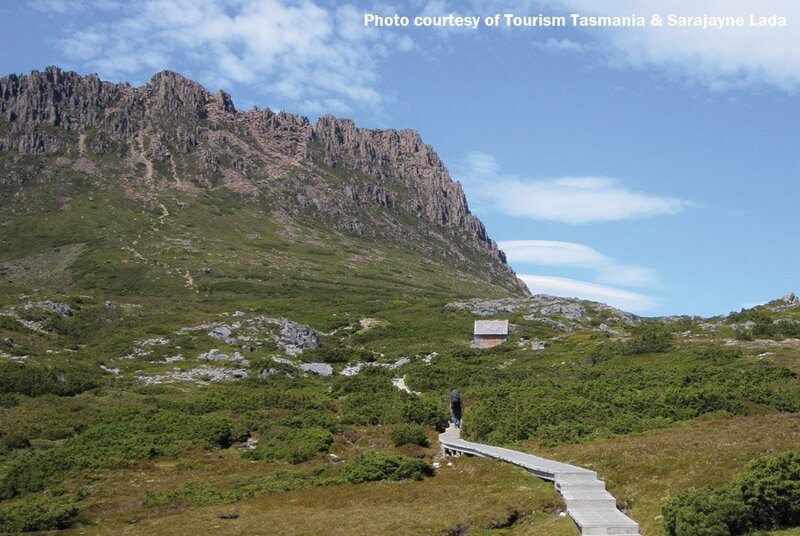 Enjoy this 3 day Pack Free walk in beautiful Cradle Mountain National Park, marvelling at 360 degree panoramic views of Tasmania’s highest mountains. This fantastic 3 day walking holiday is for our guests who want to experience hiking in Cradle Mountain National Park without having to undertake an arduous walking experience with packs. 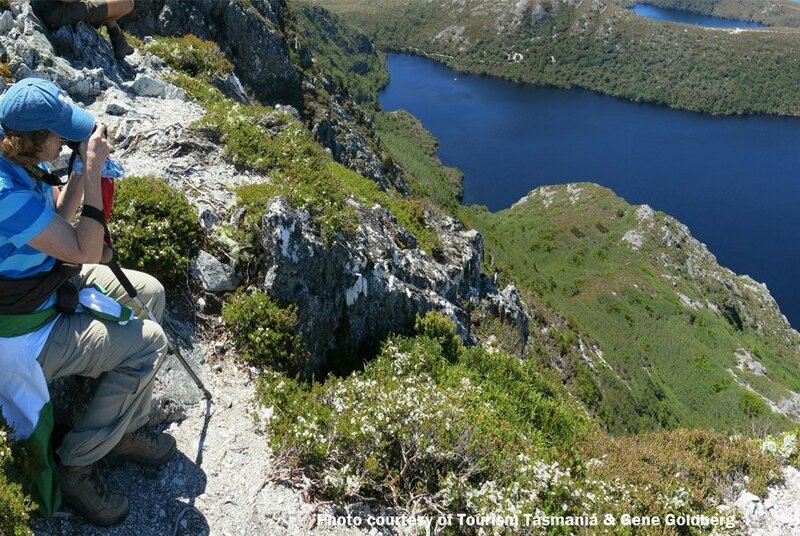 You’ll explore magnificent Crater Lake, Lake Lila, Dove Lake and for those who are up to the challenge.. a walk to the summit of Cradle Mountain. There’s nothing like experiencing the grandeur of Cradle Mountain from the air. On day three after your walk you will join an amazing helicopter flight and experience spectacular views as we fly over Dove Lake and Cradle Mountain like no one other walker will see it. Take in views of Central Highlands peaks and on a clear day Bass Strait. We know our guests would rather avoid overcrowded walking huts, so we always ensure your accommodation provides all the creature comforts you deserve. We have chosen the best accommodation in the region, with our guests enjoying two wonderful evenings at the iconic Peppers Cradle Mountain Lodge. Set on the edge of Cradle Mountains-Lake St Clair National Park, this mountain lodge enjoys breaktaking scenery, beautiful wilderness surrounds and stylish rooms with cosy fireplaces. We keep our group sizes small and personalised with a maximum of 12 guests per trip, we find this delivers a more personalised service, a great social environment and has less impact on the environment. 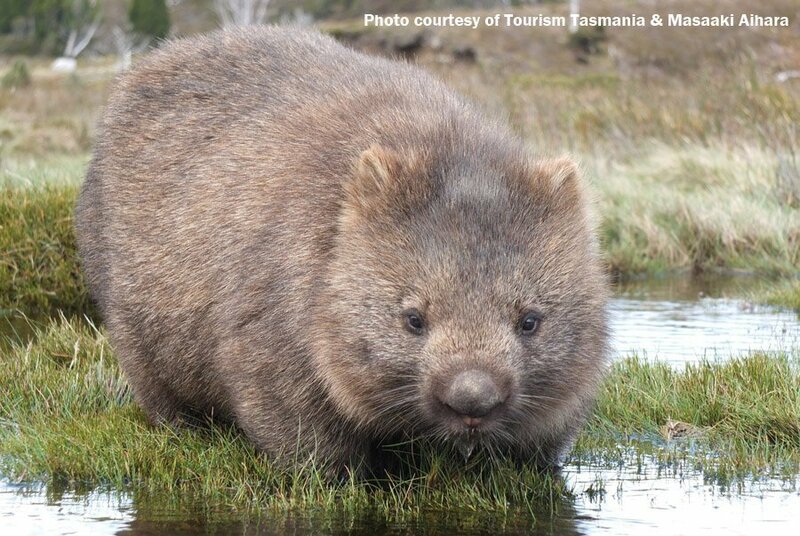 Our guides are proudly 100% Tasmanian. We call them our CEOs – Chief Experience Officers and it’s their job to ensure your tour exceeds your expectations. Our chief guide in this region Barrie is Tasmanian born and bred. His wonderful sense of humour and his vast knowledge of the Tasmanian wilderness, provide the perfect combination to make your experience unforgettable. Our meals will be a special time to gather together as a group and chat and laugh about the day’s adventures. Evenings will be spent in the Highland Restaurant at Cradle Mountain Lodge where you can dine on modern Tasmania food served with wonderful Tasmanian wine. WALK ITINERARY: Meet your friendly Tasmanian guides at 7.30am at the Grand Chancellor, Launceston. From here we drive two hours through the rich fertile farmlands and quaint villages to Cradle Mountain where your adventure begins. Today we will explore the 9.4km trail which circumnavigates Crater Lakes and offers stunning views of the lake from both Crater Peak and at water level from the shores of the lake. With the iconic Cradle Mountain in the background during this walk, you can see how in the past extensive glaciation has shaped the environment. After our walk we head to our accommodation at the iconic Cradle Mountain Lodge, located on the edge of Cradle Mountain National Park. Tonight enjoy a superb dinner in the Highland Restaurant featuring local produce served with fine Tasmanian wines. MAIN WALK GRADE: Walk 10.2kms. Walk with inclines total climbing 760m. 6-7 hours walking with breaks. Medium Grade. Good level of fitness required. OPTIONAL CRADLE MOUNTAIN SUMMIT GRADE: Optional. Total kilometres for the day for those choosing this option is 12.2km. Hard Grade. Excellent level of fitness and agility required as involves rock climbing, boulder hopping and rock scrambling 50%. WALK ITINERARY: Enjoy breakfast at Cradle Mountain Lodge before setting out on the day’s adventure. 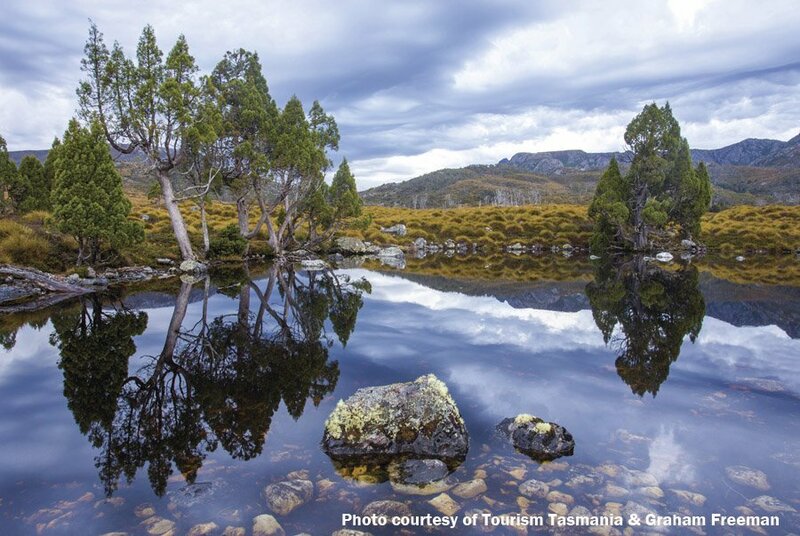 Our circuit walk today explores magnificent Cradle Mountain and its stunning reflections in the waters of Dove Lake. 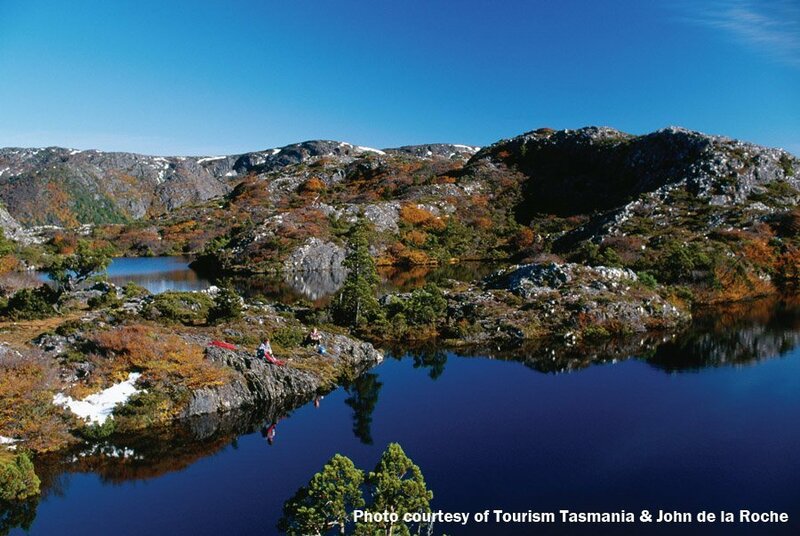 A trip to its summit is an obvious choice when visiting the most photographed peak in Tasmania. On our way we pass Lake Lilla, where we may happen to spot a wombat at Wombat Pool. Once on the plateau at Kitchener’s Hut we are finally at the base of Cradle Mountain. The mountain is a remarkable sight being made up of high narrow ridge with dolerite cliffs on both sides. CRADLE MOUNTAIN SUMMIT OPTION: For the more active members of our group can choose an additional optional walk to the summit of Cradle Mountain to take in magnificent views across the Tasmanian Highlands. For those who attempt this please note this additional walk to the summit involves rock climbing, boulder hopping and rock scrambling 50% of the time up the mountain and requires good agility and fitness. Please note this option is only available when the weather is suitable – the guide will make the call on the day whether this walk proceeds based on safety. On our way back to Cradle Mountain Lodge we pass the impressive Lesser Mountains of Weindorfers Tower and little horn finally passing the twisted lakes and Lake Hanson. 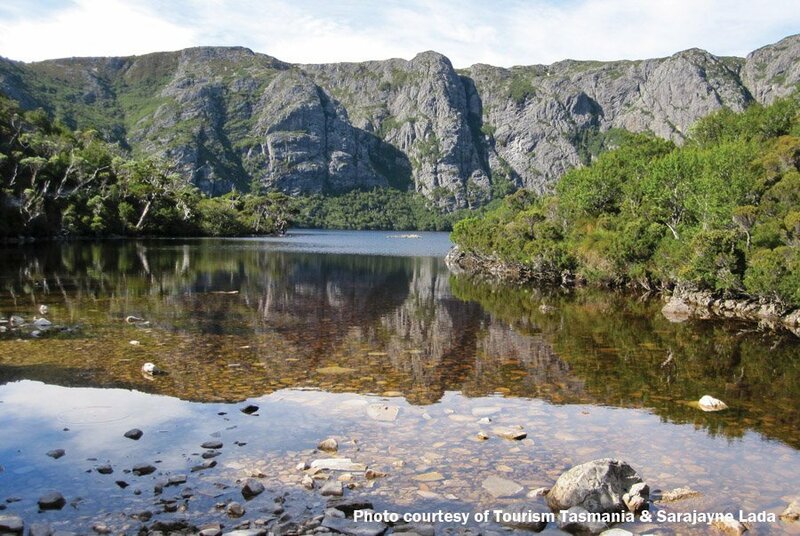 One of the best and iconic walks in Tasmania. Tonight enjoy a superb dinner featuring local produce and Tasmanian wine in the delightful Highlands Restaurant at Cradle Mountains Lodge. Note: When there is 8 or more passengers on tour, we have two guides offering a choice of two walking options – our main walk and the Cradle Mountain Summit option. Tours with 7 or less people will only have 1 guide and therefore the whole group will need to select the same option. Please feel free to check with our office when booking. WALK GRADE: Walk 5.6km circuit. Walk with inclines total climbing 160m. 2.5 hours walking with breaks. Medium Grade. Moderate to Good level of fitness required. WALK ITINERARY: This morning after a delicious breakfast, we head out or the last of our walks to stunning Dove Canyon. This appealing walk meanders through a wide variety of vegetation, including button grass plains, open forest, myrtle rainforest and the deep valley of the canyon. During this walk you will visit the rugged gorges and lovely waterfalls that have been eroded by Pencil Pine Creek and Dove River. Afterwards we finish our journey with a sensational helicopter flight over Dove Lake and Cradle Mountain for a stunning view of this alpine region. This will give you a view like no other and allow you to get appreciate the grandeur of Cradle Mountain and the Central Highlands, with up close views of the dramatic peaks. A sensational way to end of walking experience. Afterwards we return to Launceston arriving at approximately 5.00pm via a transfer service. For two nights stay at the iconic Cradle Mountain set on the edge of the wilderness with stunning alpine views. Our guests will stay in warm and comfortable Pencil Pine Cabins featuring gas fires, queen sized bed and a single bed and contemporary decor and furnishings. Singles wanting their own room. Add $320. Subject to availability at time of booking. This walk is suitable for those who are looking for a walking / hiking holiday experience. A good level of fitness is needed to complete this walk. You must be capable of walking between 5 – 6 hours a day there is lots of steps and an undulating path see total ascents on itinerary page. We’ll take the pace at a level that suits everyone, with plenty of rest stops and opportunities to take photos during each day. For those wanting to take the option to walk to the Summit of Cradle Mountain an excellent level of fitness is required.